At Interior Systems Inc., we strive to provide a work environment where employees truly feel that they are part of the team. Just as we make every effort to keep our own personal family members safe, we extend that same obligation to our entire employee base, and we expect our staff to show the same commitment in return. On-going education, training, and a zero-tolerance for unsafe work practices are the prime focus of our safety program. 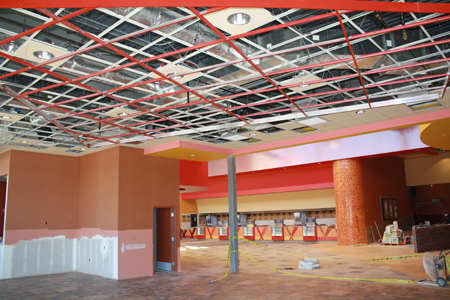 Interior Systems Inc. realizes the importance of consistently meeting high standards and expectations. This tradition of excellence has afforded us continued success and allowed us to build lasting relationships in the industry.